IMPORTANT: The Positive Discipline Association provides a Speaker’s Bureau service comprised of Certified Positive Discipline Trainers who are endorsed by the Positive Discipline Association to represent us in working with schools and organizations for campus, district, or agency wide events. To arrange training customized to meet the needs of your school or organization, check out our Speaker’s Bureau page and contact a trainer directly or write to us at info@positivediscipline.org for more detailed information. Positive Discipline in the Classroom (developed by Jane Nelsen and Lynn Lott) is a research-based classroom management program that empowers teachers with skills to build their students’ sense of community, prepare them for successful living, and increase academic achievement. Experiential learning methods give you skills to help students practice better cooperation, social skills, self-direction, responsibility, and mutual respect in the classroom. 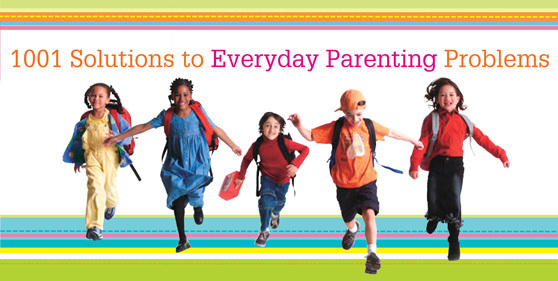 Positive Discipline in the Classroom materials go hand in hand with the Positive Discipline parent education program that can be taught at your school to increase the parent-school connection. Teachers, Administrators, Professional Development Personnel, Counselors, community representatives, and anyone who works with young people in a school will benefit from this training. Email info@positivediscipline.org for more information on bringing a training to your school or organization. Teaching Parenting the Positive Discipline Way (developed by Lynn Lott and Jane Nelsen) is a research-based parent education program that provides a step-by-step approach to starting and leading experientially based parenting groups. Recent research tells us that children are “hardwired” from birth to connect with others, and that children who feel a sense of connection to their community, family, and school are less likely to misbehave. To be successful, contributing members of their community, children must learn necessary social and life skills. Positive Discipline is based on the understanding that discipline must be taught and that discipline teaches. Email info@positivediscipline.org for more information on hosting a parent educator training or community lecture. The Positive Discipline Association is an organization of talented and committed professionals who provide the highest quality training using the Positive Discipline (PD) experiential model. Our facilitators come from all types of backgrounds. They include school teachers, counselors, and administrators; licensed therapists, social workers and professional coaches; home makers; health care providers; and people from many other professions. Our Associates bring PD to all types of settings – homes, schools, colleges, and community organizations, as well as foster care, kinship and residential treatment programs, halfway houses, prisons, and so much more. They work with populations of all ages, including children and adults with special needs. Plus, there are organizational, team building and workplace applications. Essentially, the core principles of PD are adaptable to every situation where building respectful relationships is critical to success. Through our Directory, you can read about our members, their backgrounds and areas of specialization. You can use the search feature to find the Trainer or Educator who would be the best match for your personal or organizational needs, or who may offer classes or workshops in your area. We encourage you to contact the Positive Discipline Association office at info@positivediscipline.org for assistance, especially if you are looking for a keynote, organization-wide or school-wide training. We work with you to find the facilitator who can provide a session truly customized to meet your needs.